Are you considering SOLIDWORKS training but you are not sure whether this training solution is right for you? If your SOLIDWORKS subscription services are current, you can take advantage of the opportunity to access more than 100 hours of free online training for a limited time. Through your current subscription services, you can also receive three coupon codes per year that you can use to take three different certification exams. This is an excellent opportunity to determine if SOLIDWORKS classes are the right choice for your needs. With the chance to sample training and even take free certification courses, this is an offer that will allow you to determine whether SOLIDWORKS will fit your specific learning style and needs. The first step in taking advantage of this offer, which is available for only a limited time, is to log into the customer portal by entering your email and password. From there, you will click on certification on the Community tab. Look to the right side of the page, where you will see Certification Offers for Subscription Service Customers. There, you will see three coupon codes that can be used for taking certification exams. These codes will need to be entered during the checkout process. The process is quite simple and fast, allowing you to move along with your training without worrying about unnecessary delays. In the event your subscription services are not current, you can still take advantage of these offers by simply requesting to have your license reinstated. This limited-time offer will allow you to increase your self-confidence and level of learning. 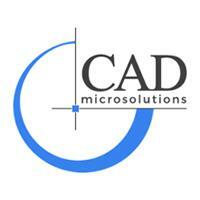 Advance your career or just feel great about learning some new skills with SOLIDWORKS training. SOLIDWORKS classes can provide a number of benefits, allowing you to enhance your level of knowledge and skills. If you have been considering taking additional training and obtaining certifications, SOLIDWORKS online courses present an incredible opportunity to do so without your training impacting your existing schedule. Whether you are interested in training to improve your career opportunities or you are looking for self-improvement opportunities, SOLIDWORKS training offers the chance to obtain the skills and certifications you want. Get started now to find out how many advantages SOLIDWORKS courses provide and whether this is the right solution for your specific needs.